A cadre of Oregon winemakers are on a mission to change that. At least for Oregon Chardonnay. Oregon Chardonnay isn’t California Chardonnay. It isn’t Burgundy Chardonnay. Who even says “Burgundy Chardonnay?’ We call it “white Burgundy” and it is above the fray. So what is Oregon Chardonnay? The jury is still out and that is both exciting and frustrating. 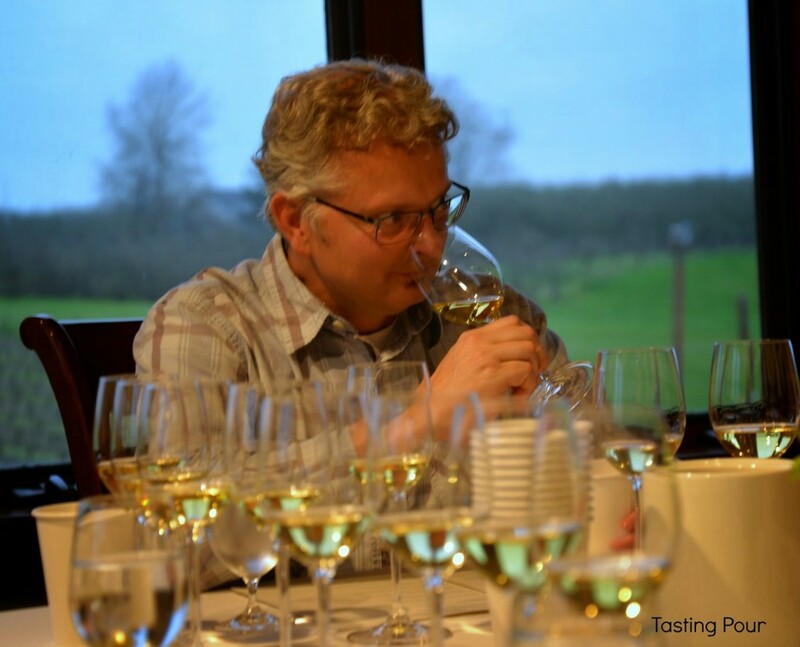 I had the privilege of sitting on the blind tasting panel to select the wines to be showcased at the 4th annual Oregon Chardonnay Symposium’s Grand Tasting. This was a thrill because I got to play an important role in an industry and region about which I am passionate. We tasted wines in flights and I swear the number of total wines we tasted seemed to grow each time the story was told. There were over 100. 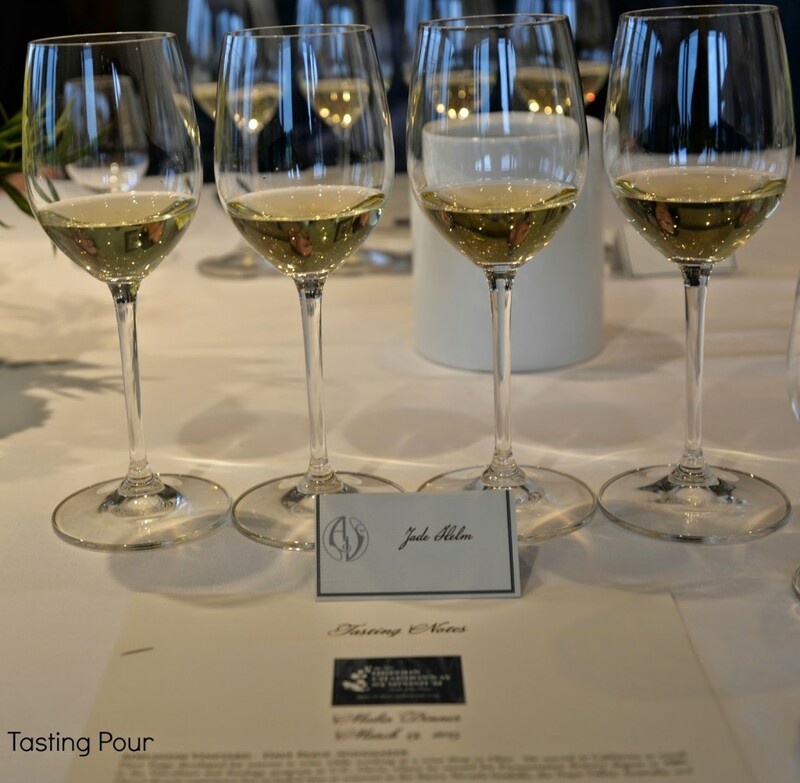 The criteria, other than selecting for quality, was to include wines that best represented Oregon’s style of Chardonnay. My hand went up. “And what is Oregon’s style of Chardonnay. How do we define that? The answer… “That is what we are here to do.” I am sitting on the cusp. Skip ahead a few months and I find myself at dinner the night before the Oregon Chardonnay Symposium. I am at Adelsheim Vineyards. If you don’t know, David Adelsheim brought the “Dijon clones” from Burgundy to Oregon that changed Oregon’s Chardonnay scene. At the table are the organizers of the symposium, Paul Durant from Durant Vineyards and Erica Landon from Walter Scott Wines. I look around at Erik Kramer from Domaine Serene, Arron Bell from Domain Drouhin, Rob Schultz from Stoller Family Estates, and Ken Pahlow from Walter Scott Wines. These wineries are major Chardonnay players – at the game long enough that we are tasting their library wines. I am sitting in the hub. 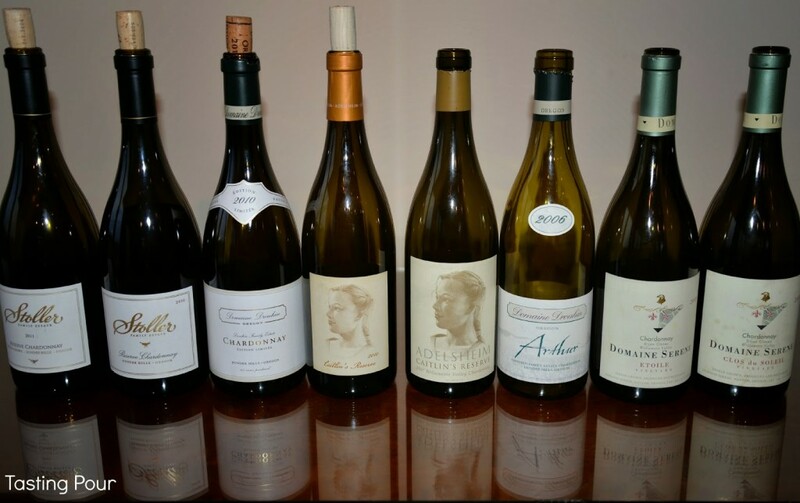 As we taste they begin to sing the praises of Oregon Chardonnay. Dave Paige,”If you are looking for viscosity then go have at it in California. Oregon is more complex, livelier, more fragrant,” Bell adds that you can have that texture too. “You can build an acid spine with texture around it. That is what is haunting about Chardonnay. Kramer points out the “longevity, persistence, and ability to age.” It is no surprise since two glasses of 2005 Domaine Serene sit before us with the crackling acidity of youthful wine. Talk turns from accolades to discussion. Should we [Oregon] talk about clones? Burgundy does not. Should we [Oregon] compare our Chardonnay to Burgundy? Can we call it cool climate? It is a good definition but will it resonate with consumers? Two things to note. They are brainstorming the best way to define Oregon Chardonnay to the world. I am sitting in the think tank. Even as they debate, correct, and play devil’s advocate they continually use the word “we.” This is Oregon and they are approaching problem solving like they always do – together. I am sitting in possibly the most collaborative wine region in the world. The following day 250 people will meet in a tent in the rain to continue the discussion. I will write about it in the May issue of the Oregon Wine Press and post links on facebook, twitter, and google plus. Follow me if you haven’t already. Pay attention world. Oregon is on to something. Pick up some Oregon Chardonnay and enjoy the crisp, fresh Oregon flavors while you watch this unfold. Many thanks to Stoller Family Estates for providing lodging at their lovely wine country farmhouse. It is highly recommended as the perfect home base for wine getaways. Thanks to the winemakers and vineyard managers who took time to dine with us and share their stories. Special thanks to Erica Landon who tries to herd the cats. I was lucky enough to share this experience with a few wine writers from the area. Read what they had to say. My last post didn't make it. Burgundy is the way to go. Make sure people know it's white burgundy. Things have changed and this is the next great Oregon wine boom.